“I am the Alpha and the Omega” (Revelation 1:8, NASB). Of all the books in the Bible, the book of Revelation has provoked the most interest and curiosity. Yet, for many Christians, it is the most obscure book of the Bible. Ironically, the book titled Apocalypse, meaning “revelation or unveiling,” has become a symbol of confusion and incomprehensibility. Strange images and frightening scenes described in the book have deterred many from trying to decipher its messages. Even so, Revelation clearly states that it was written to be understood. However difficult they may be to fully grasp, when understood properly, the prophecies of Revelation serve a practical purpose: to teach us how to live today and to prepare us for the future. Studying them should make us better people, motivate us to take our destiny seriously and inspire us to try to reach others with the gospel message. They provide assurance that no matter what the future brings, God is in control. 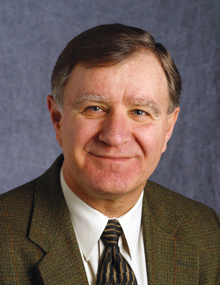 Ranko Stefanovic is professor of New Testament at the Adventist Theological Seminary at Andrews University. He holds a PhD in New Testament studies with an emphasis on the book of Revelation. Stefanovic has authored many books and articles. His most recent book is Plain Revelation: A Reader’s Introduction to the Apocalypse. His lectures on Revelation are featured on 3ABN. He and his wife, Estera, have two grown children. Excellent source for studying Revelation! This is my first time buying a companion book for the Adult Bible Study Guide. I bought it because Revelation is so complex that I figured I could use the extra help. I was not disappointed! Ranko Stefanovic did a fantastic job of giving further explanations of the topics in the lesson book without droning on and on. -real-world historical and present fulfillment of the prophecies. This book is definitely going to have a permanent place on my bookshelf! I am thinking of buying extra copies for sharing with others. I highly recommend it! I have gone through the book of Revelations several times but must say some of what’s in this book was new to me as it related much more of the Old Testament to the book of Revelations making some of it make more sence than in previous studies. Will be going back through it again.